Payment arrangements can be made (and check your insurance to see if they cover childbirth classes too)! You may also be able to pay with FSA or HSA. These workbooks give you access to videos for 6 months! Watch videos on exercise, diet, labor, birth, comfort measures and relaxation exercises, and so much more! Watch 8 women have various types of births from start to finish. 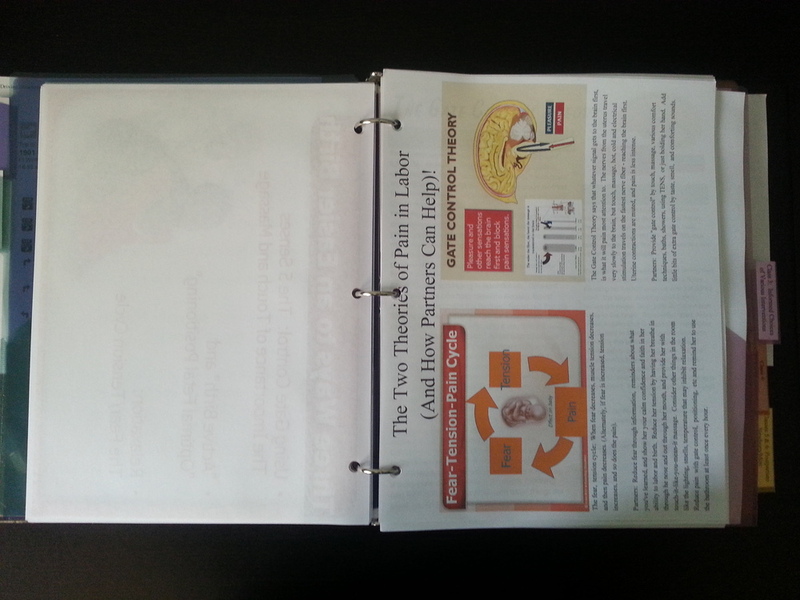 A binder - personalized and filled with handouts! (a few of my most used and loved items to take with you on labor day)!